David joined Mackenzie Construction as a Site Engineer in 1994 after graduating with a BSc in Building, Engineering and Management from Glasgow Caledonian University. He was involved in a wide range of structural repair, refurbishment and civil engineering works across a wide portfolio of clients and progressed to the position of Site Agent by 2000. David left Mackenzie in 2003 and gained further experience of the industry in the UK followed by a spell in the Middle East. After returning home in 2013 he re-joined Mackenzie and brings a wealth of industry and commercial experience to the business. 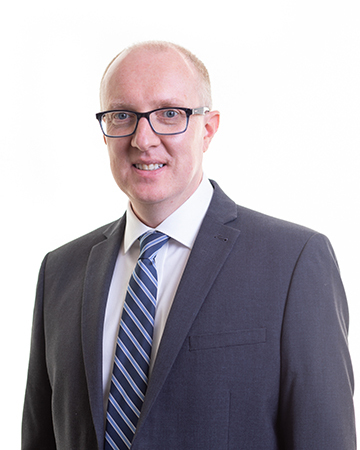 David’s ethos is very much team focused both internally and externally, involving client collaboration across current frameworks with Scottish Water and several Scottish Councils. David is a fair-weather golfer and all-weather runner, currently spending his holidays trying to complete the World marathon majors, supported by his tolerant wife and two young children.